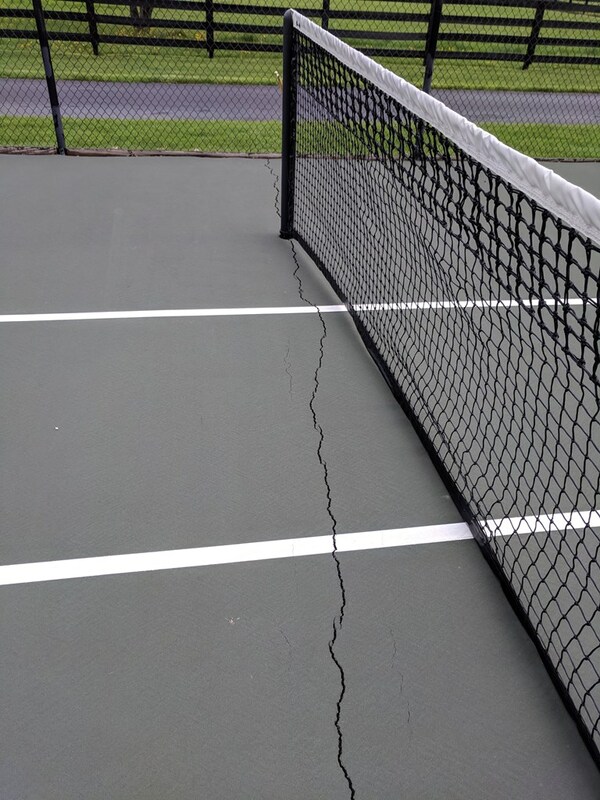 Question: Why do tennis courts crack under the tennis net? 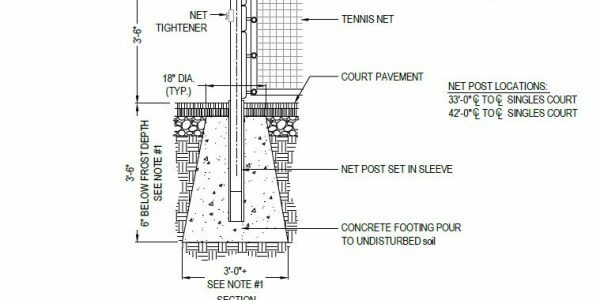 Tennis court net posts are secured by a concrete footer, when installing an asphalt tennis court. 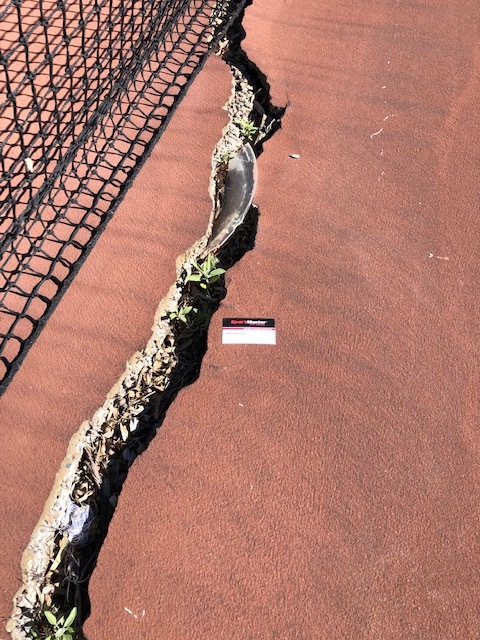 The footer can be in place prior to the asphalt paving process or it can be installed after the tennis court has been paved. There is a plastic or galvanized sleeve set within the net post footer, which makes the net post removable and easily replaceable. Tennis nets are suspended by a cable, which is secured to the dead-end post, and wound or tightened with a wind assembly from the other post. The average recommended tension on the net cable is 400 to 450 lbs. 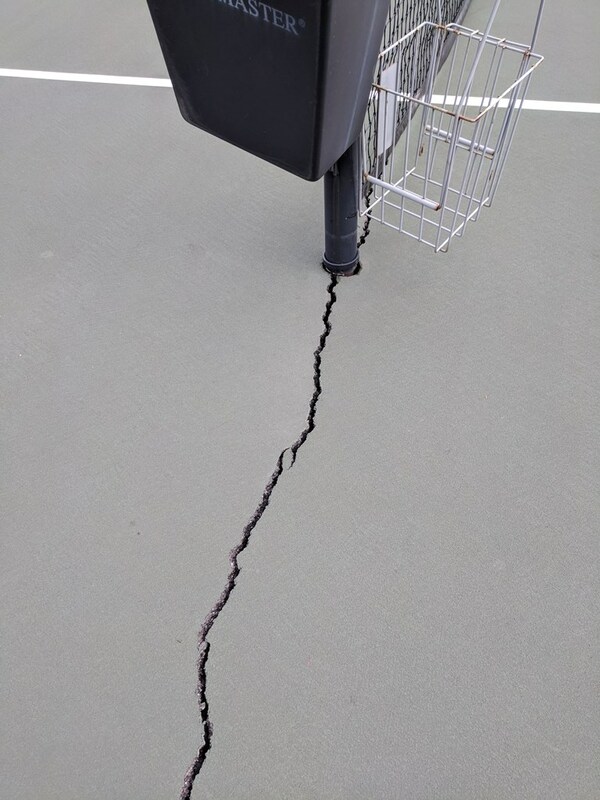 The sustained tension from the cable tends to pull the post footers in and can often create cracks into the surrounding asphalt. Square or rectangular footers will often send cracks from the corners into the surrounding asphalt. 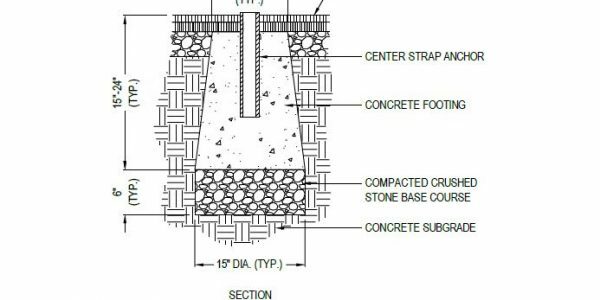 Round footers can also create cracks under the net, so it’s best to consult with an experienced court builder or resurfacing company to discuss the proper way of installing net post footers. Concrete and asphalt expand and contract at a different rate. When concrete is place next to asphalt, the gap between them will likely exhibit movement. This can also happen with light posts, fence posts, shade structures, and other amenities. Once the cracks have started, it’s all about maintenance. 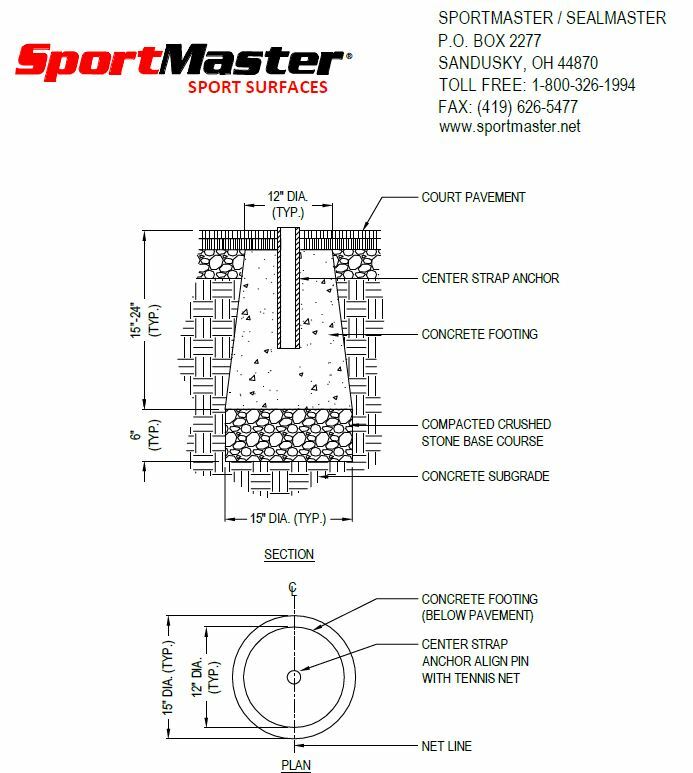 SportMaster produces easy-to-apply crack fillers and sealants. 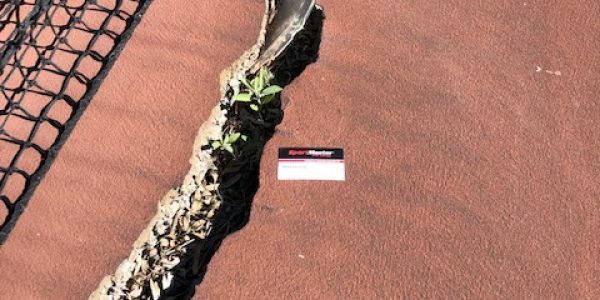 These products are not a structural fix, but more of a “band-aid” for cracks. They will minimize the amount of water that flows through the cracks and into the base of the court. Water can loosen the compacted base, and expand to create more damage during freeze-thaw periods. 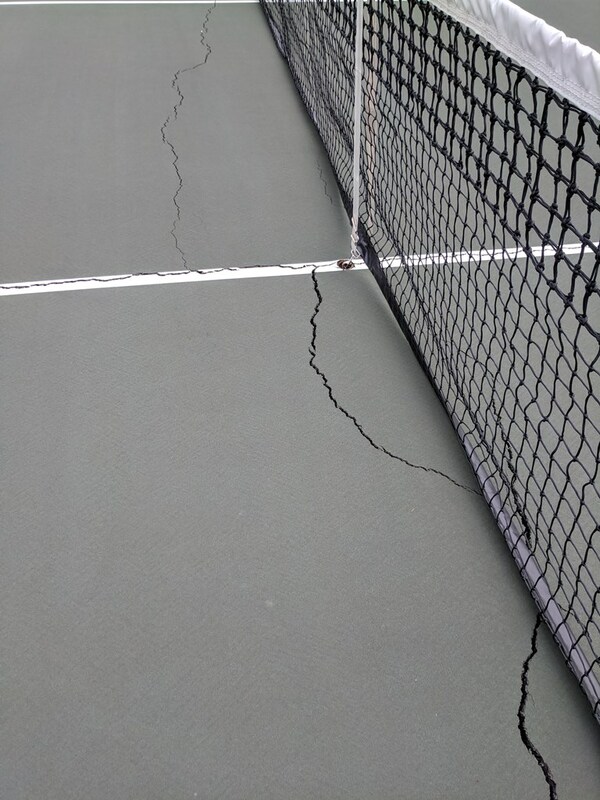 If the cracks are larger than an inch wide, and very deep, we recommend having a professional tennis court contractor take and look and provide recommendations. 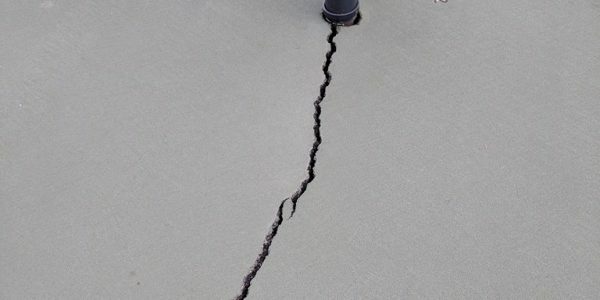 Many times they will need to fill the large cracks with concrete, asphalt, or other specialized means. At some point, reconstruction or an overlay is the best long-term solution. When is it too cold to apply tennis court surfaces? The quick and direct answer is: It must be 50 degrees Fahrenheit (10 Celsius) and rising during application, and for at least 24 hours after. 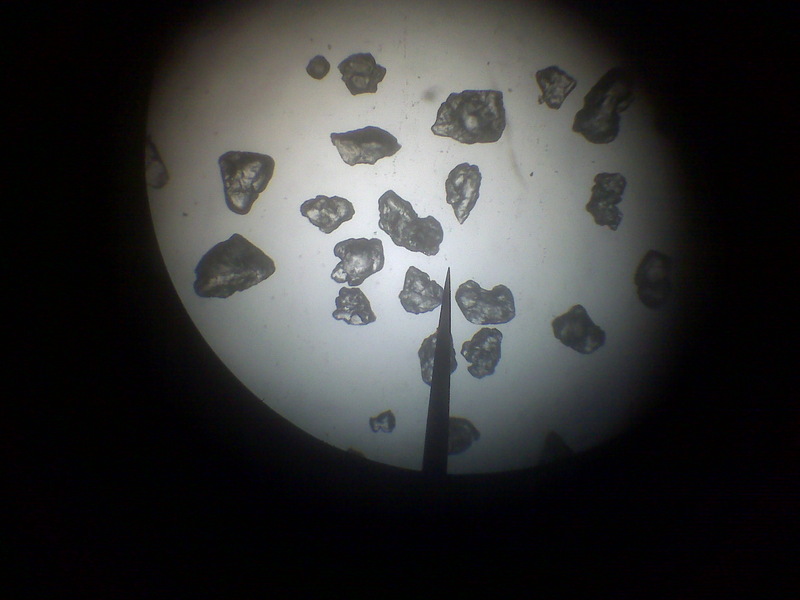 This is very important to ensure curing of the 100% acrylic latex binder. 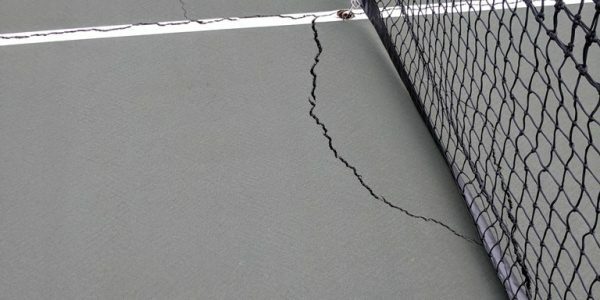 My tennis court coatings were dry, why is it failing? As explained in a previous article, there is a difference between drying and curing. The coating must dry first, which means the water in the paint evaporates. 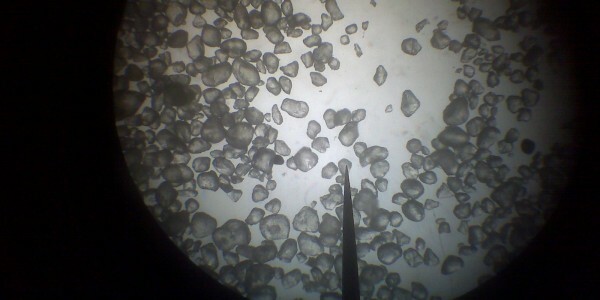 This leaves all of the coating molecules, which are unconnected. It looks normal to the naked eye after drying. 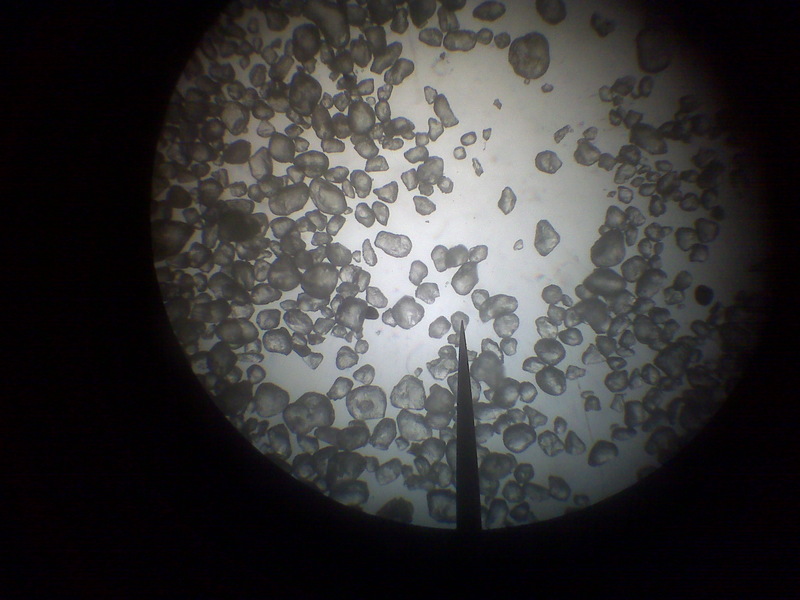 However, the particles are not melted together or coalesced. If the temperatures fall below the recommended range and the coating gets wet from dew or precipitation, it can be easily damaged. 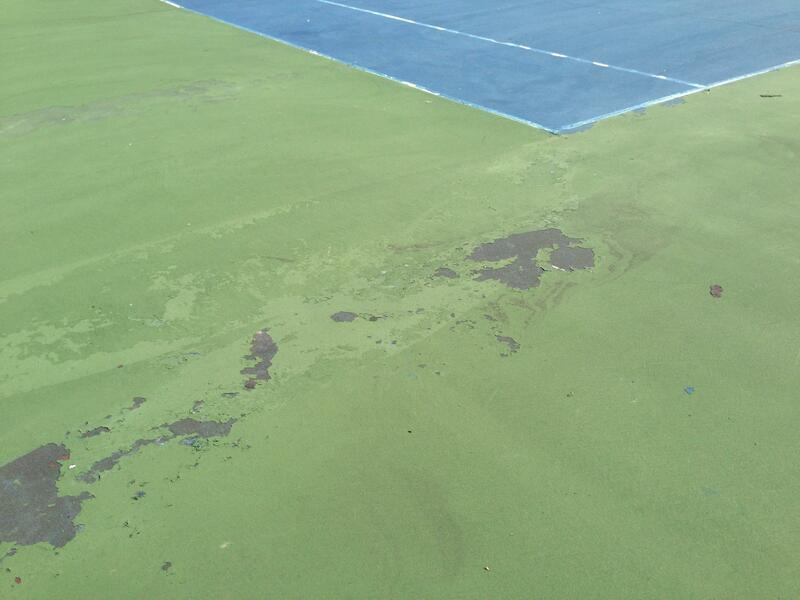 Tennis court coating failure from improper curing, during cold temperatures. Apply coatings very early in the day, just after dew has dried. Don’t apply much later than early afternoon. Sunshine is very important to drying and warmth of the pavement. Shade can prevent drying of coatings for many hours. 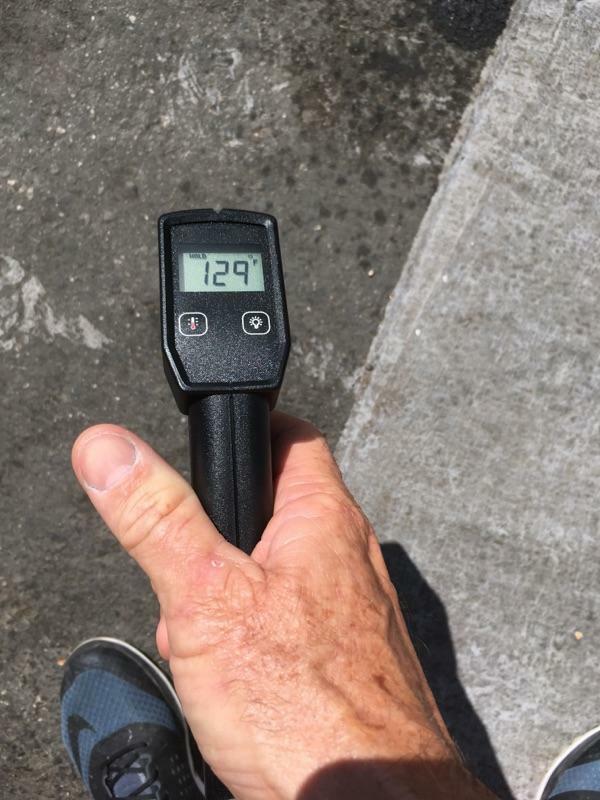 Make sure to measure ambient air temperature, as well as pavement temperature. The ground temperature is usually colder than air temperature during spring and fall. High humidity slows down drying, and coatings must dry before they start to cure. White lines reflect sunlight and are usually the first coating to fail if not properly cured. 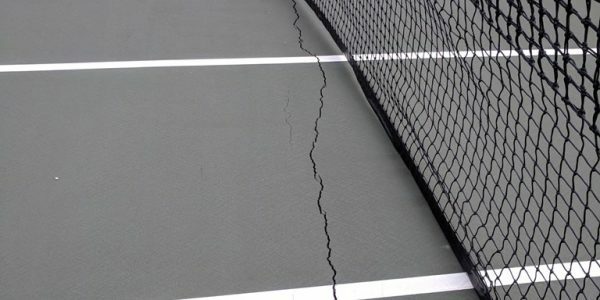 What happens if you start a tennis or sports court resurfacing project, and you run out of good weather part-way through? No worries, you can wait until next spring/summer to finish the job. It’s not worth risking failure and having a major cleanup on your plate. No matter what stage of the coating process you are in, it can wait until the weather is right. All blended lines for 10 & under tennis courts (kids tennis) shall be of the same color family as the surface, just lighter or darker. 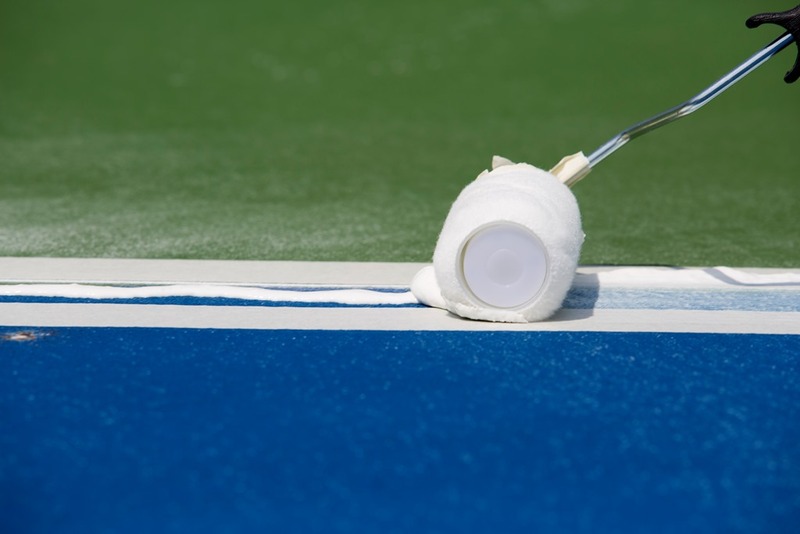 75% court surface coating to 25% white line paint for lighter shade or 25% black acrylic resurfacer for darker shade. (80% to 20% was also approved for a slight variance for shade). 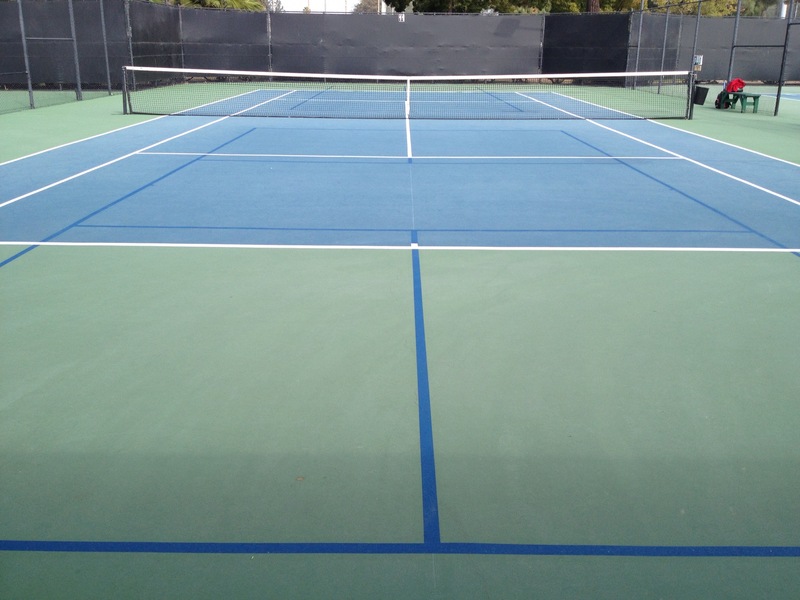 In simple measurement terms, you would use 3/4 gallon of the court surface color (let’s say blue) and mix in 1/4 gallon of tennis court white line paint to achieve blended lines in a lighter blue shade. 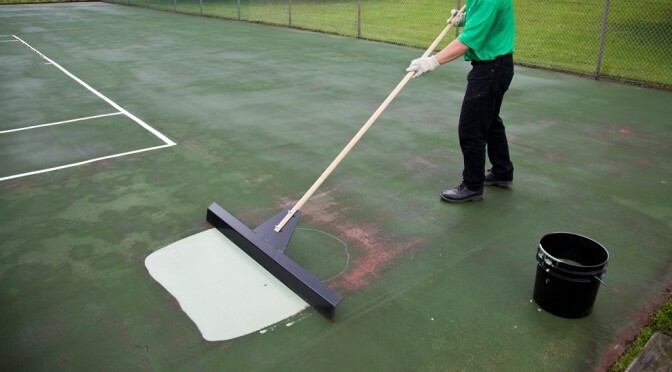 Or, use 3/4 gallon of the court surface color and mix in 1/4 gallon of black acrylic resurfacer to produce the darker line variation if preferred. 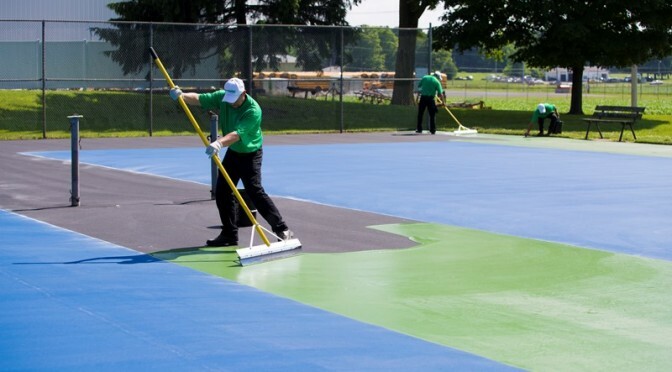 This enables court resurfacing contractors to easily achieve blended line colors with common coatings and paints that they already have on-hand and use every day in the field. Applying blended lines will not cost a fortune, by any means. If you are not comfortable doing it yourself, we would strongly suggest having a sport surfacing contractor do this for you. Adding blended lines can be done at any time. The best time would be during the initial court resurfacing, to minimize the contractor mobilization costs. However, the cost would still be minimal down the road and you will be able to enjoy multiple sports on your multipurpose sports and game court. Yes, Pickleball can be played on a tennis court surface, and we will discuss some great options to keep Tennis and Pickleball players happy. 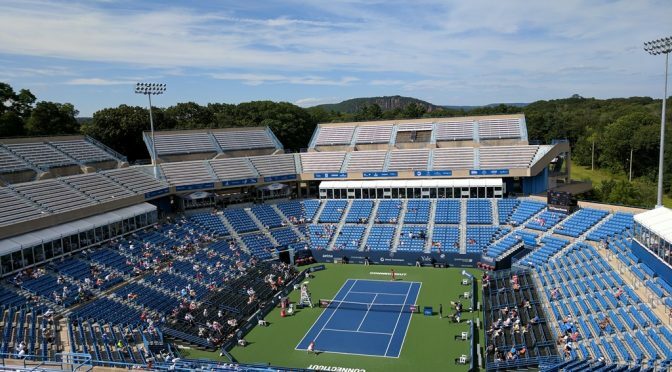 A common trend, that is working well, is to maximize the current “real estate” of existing tennis courts. That is usually a “win-win” and has been done for years with tennis and basketball court combinations. 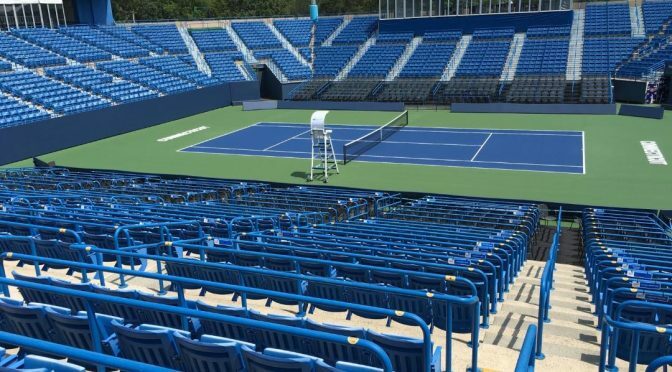 By USTA and ITF rules, tennis court lines must be white. Pickleball court lines can be added in a different color, so that tennis or pickleball can be played on the same court (at different times, of course) and the eye can focus on the applicable set of playing lines. 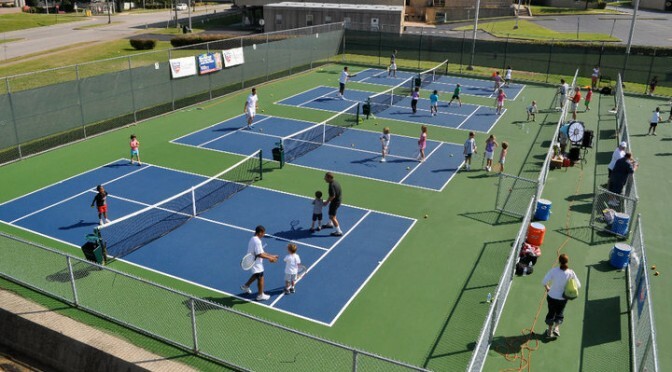 As with the USTA’s kids tennis program known as 10 & under tennis or Quickstart, it is usually recommended to paint the Pickleball lines in the same color family as the court surface color. To better explain, if the court color is blue, apply the Pickleball lines in a shade of blue that is lighter or darker than the surface color. This makes the lines less distractive to tennis players. 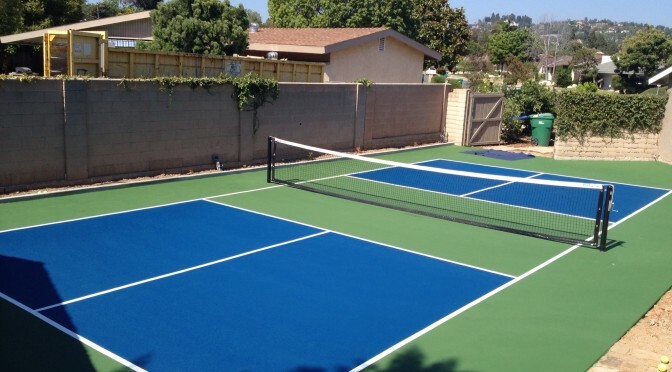 How Much Does It Cost To Add Pickleball Lines To A Tennis Court? 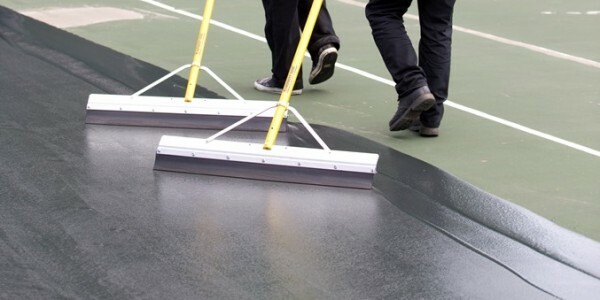 Lower cost to apply the Pickleball lines as the tennis courts are being resurfaced. 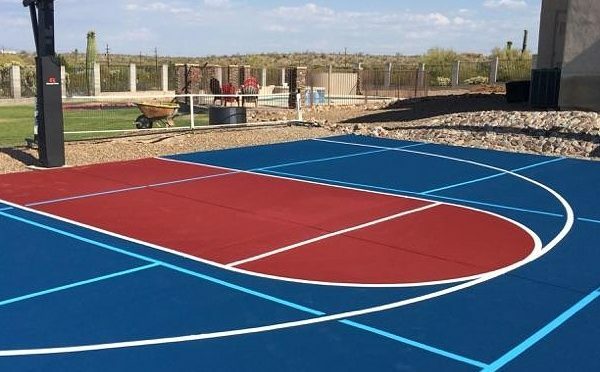 To get a free estimate from a qualified Pickleball court contractor on your facility, contact us and we can put you in touch with an experienced installer. There is also a boom of permanent Pickleball courts being installed in park districts and residential settings. Since Pickleball courts are smaller (44′ x 20′) than tennis courts (60′ x 120′), more and more avid players are building backyard Pickleball courts. It is great fun for families, kids, and older players alike. In fact, many older players that are unable to physically handle tennis are turning to Pickleball for fun and fitness. 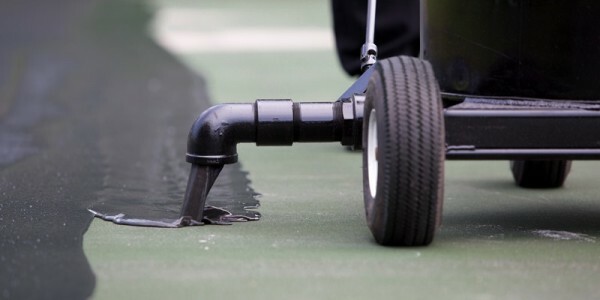 So, how do you get rid of puddles on a tennis court? Puddles on a tennis court are a nuisance for many reasons. Either you wait for the water to evaporate before you play, or get a court dryer to move the puddles off the surface. Puddled areas, or low spots, can also be a trip hazard if they have sunk enough to effect the players footing. 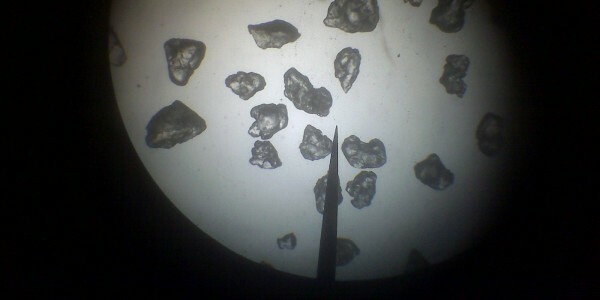 But what about adverse effects on the acrylic surfacing? 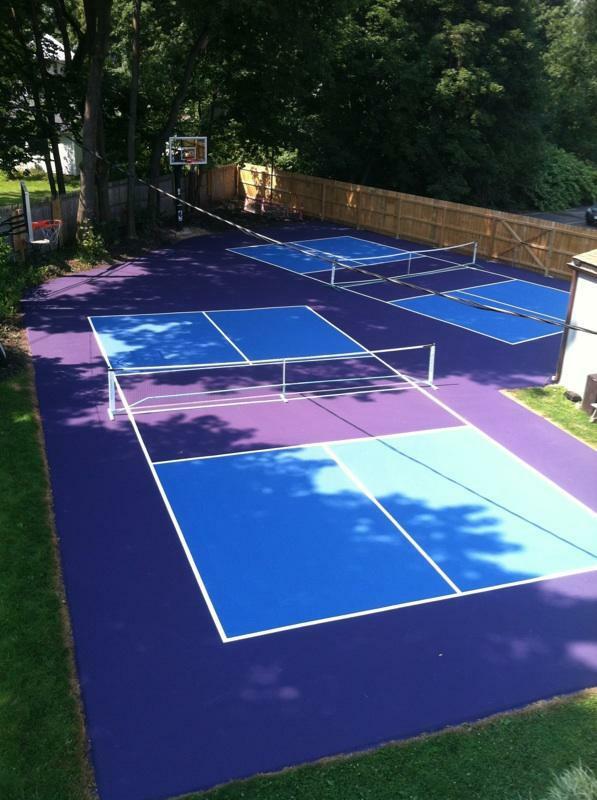 Acrylic tennis court surfaces are very durable, and designed to have good wet adhesion and resistance to the elements. However, if water sits on the surface for prolonged periods of time, it will shorten the coating life and begin to break it down. Plus, when water puddles in those areas, dirt and debris tends to accumulate in the water. This creates a sandpaper-like friction on the surface from play and scuffing of tennis shoes. 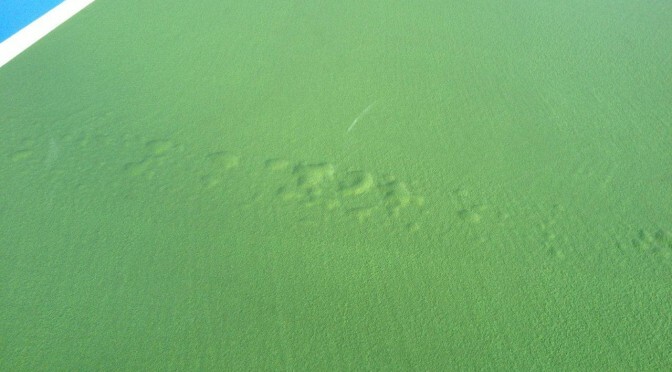 The bottom line is, none of this is good for the tennis court surface. The American Sports Builders Association maintains guidelines for puddles, or “birdbaths” on a tennis court surface. 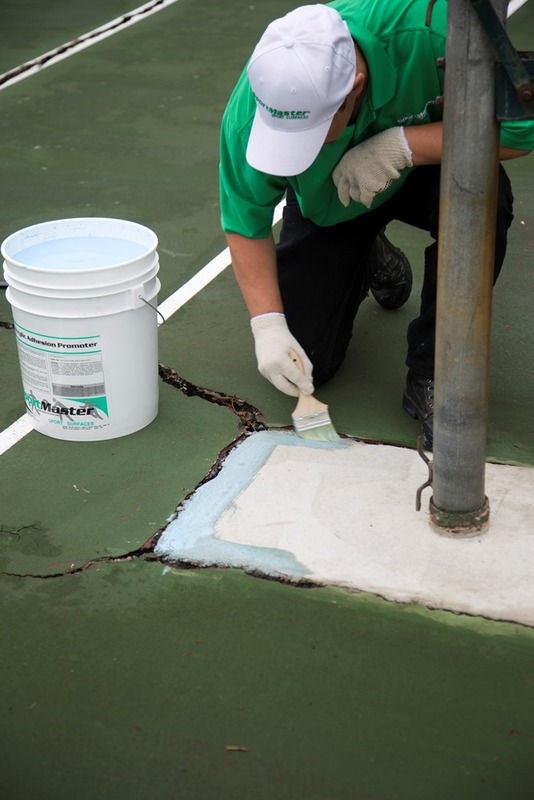 A hour after a rain, or flooding the court, any area where standing water is measured at 1/16″ (2mm) is in need of patching. This is usually measure by placing a U.S. nickel in the center of the puddle, and if the water covers the head of the nickel, it is deep enough to require leveling. Acrylic Patch Binder is a 100% acrylic binder that is job-mixed with portland cement and specifically graded silica sand. This creates a slurry that can be poured into the puddle area and screeded in with a steel or aluminum straightedge. If done properly, this will bring the low, puddled area back to level and allow the water to flow off the court (with help from the court’s 1% slope). 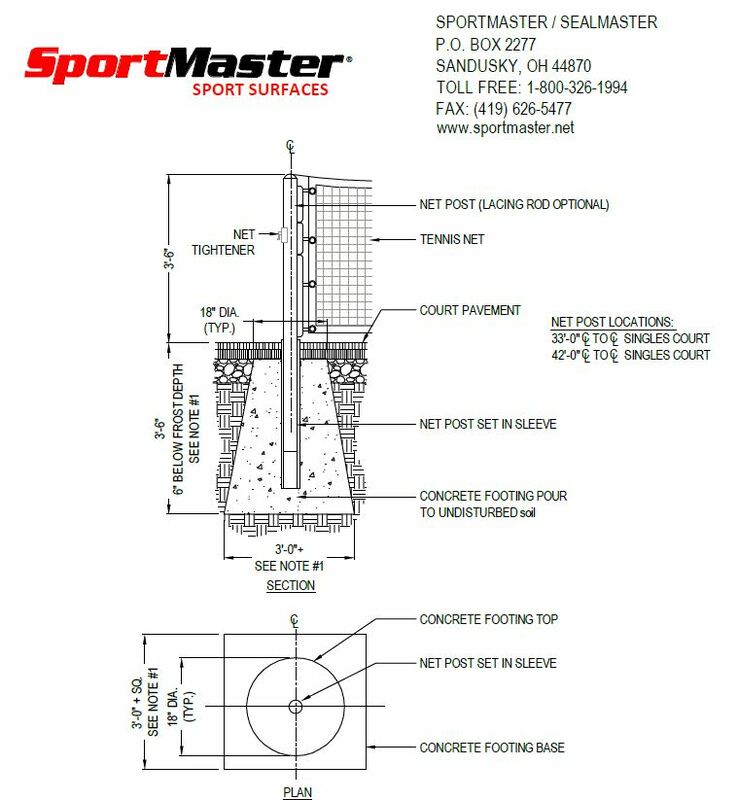 Post by SportMaster Sport Surfaces. 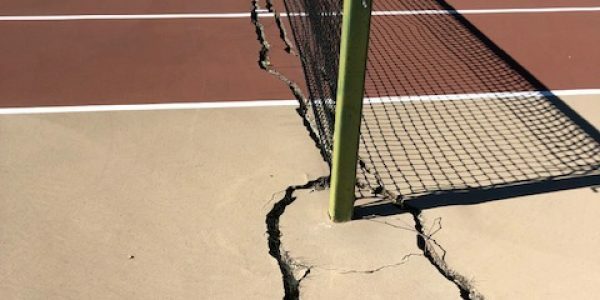 Is Tennis Court Patching a DIY Project? Leveling birdbaths and patching tennis courts can be very tricky without proper experience. If not properly done, you can easily create a dam on your tennis court surface. 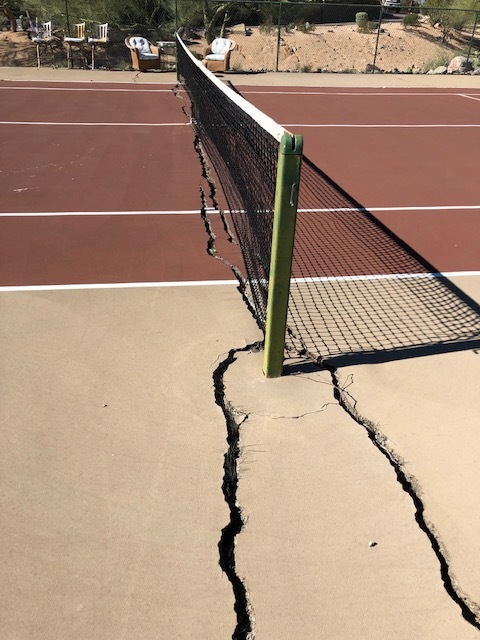 We would highly recommend seeking a qualified tennis court contractor to do this the correct way. Feel free to contact us and we will be happy to provide you with experienced and affordable sport surfacing professionals. 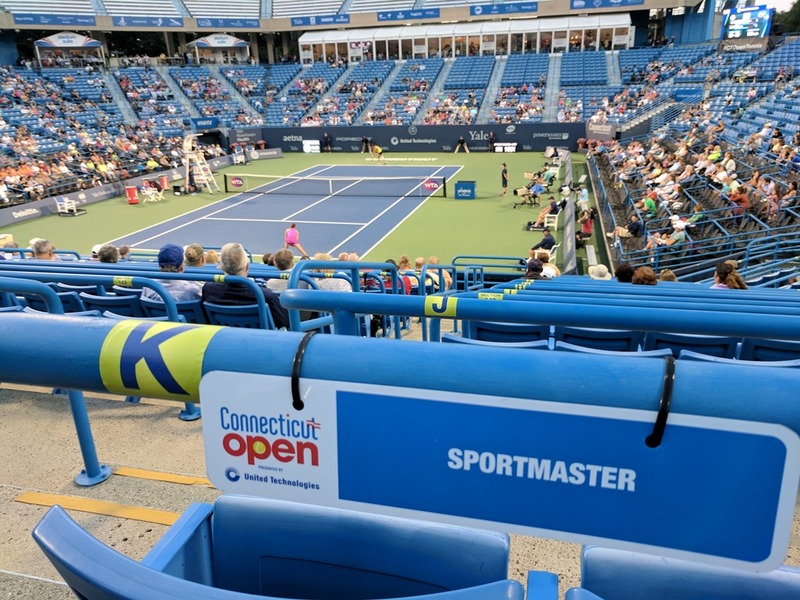 The QuickStart (10 and under) tennis format, also known as Kids Tennis, is a program that the USTA is promoting to ensure the growth of tennis. Statistics show when kids learn a sport early in their lives, they are more likely to continue playing throughout their adult life. Kids tennis takes it one step further and reshapes the tennis court surface dimensions, racquet sizes, and tennis balls to better fit the size and abilities of kids. This makes is much easier for kids to begin learning their tennis techniques, and have fun doing it! Many clubs, parks, and schools have begun adding kids courts to their facilities. 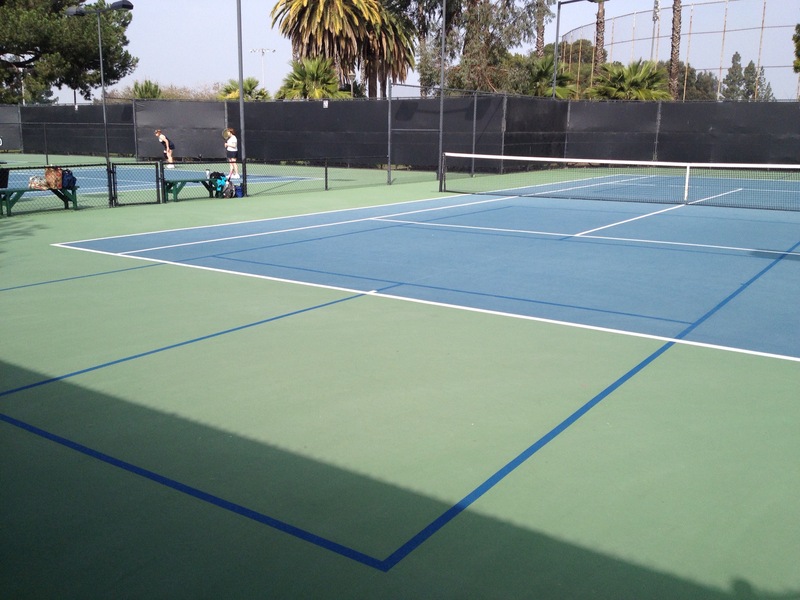 Some have installed permanent quickstart courts, but many have been adding blended lines so that players of all ages can use all of the courts. This makes the best use of space, and provides flexibility at a minimal cost. 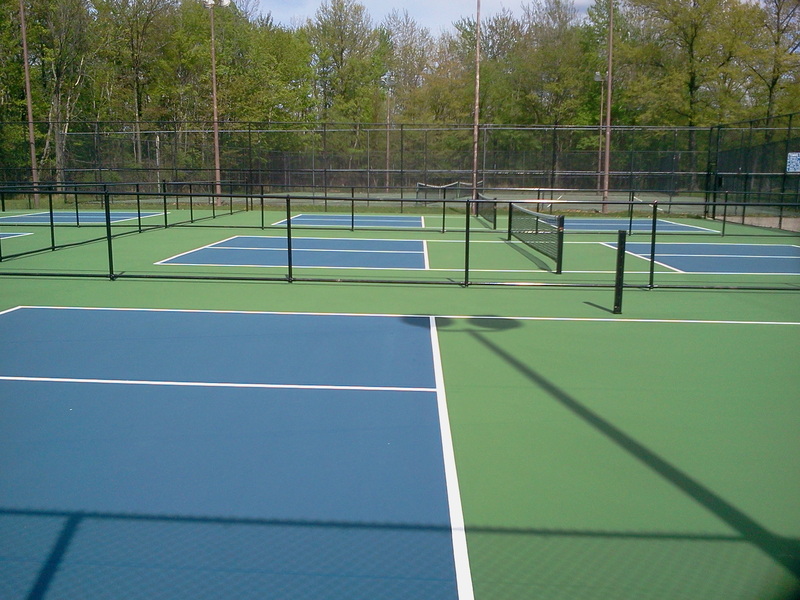 Blended lines for kids tennis, are normally painted with a shade of line paint that is lighter or darker, but of the same family as the tennis court surface. 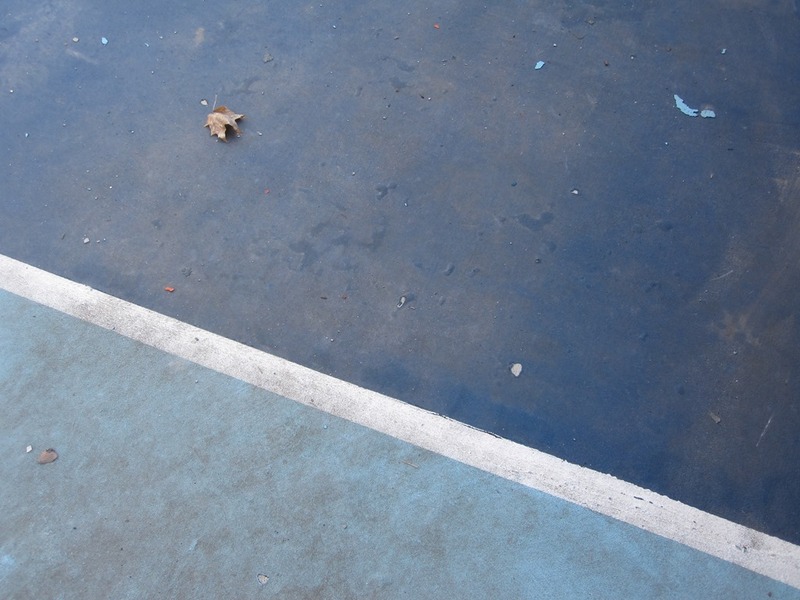 For example, if the inside court color is blue, the quickstart lines must be a darker or lighter shade of blue. 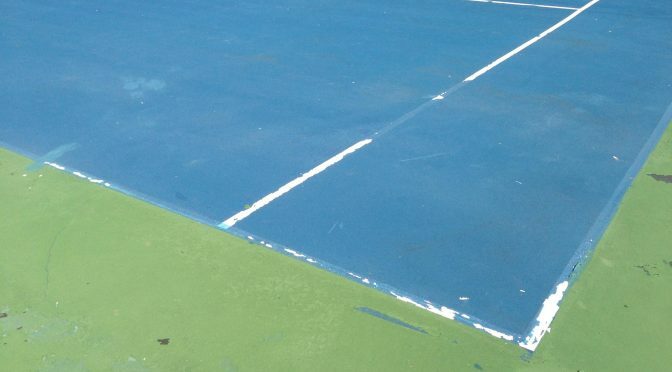 The standard court lines are always white. 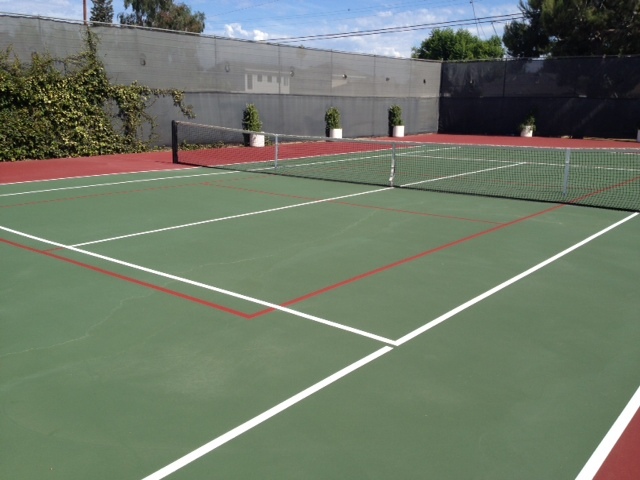 There are two different sizes, when it comes to quickstart courts. The 60 foot court length is for 9 and 10 year olds, and the 36 foot courts are for ages 8 and under. 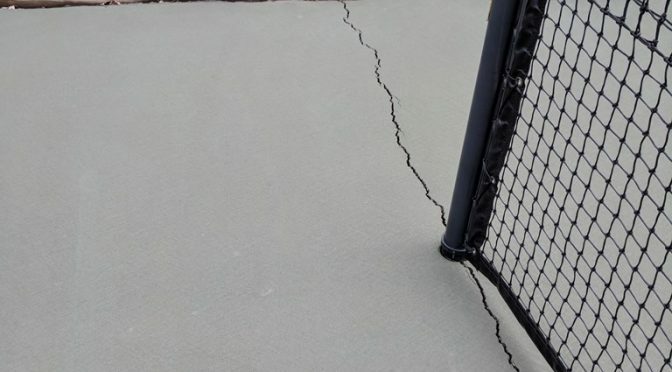 If you have a court that is designated for kids, you may also check with a surfacing manufacturer or contractor about resurfacing your court with a slower playing acrylic surface. This will slow the ball bounce down and give the kids more time to get to the ball and volley. 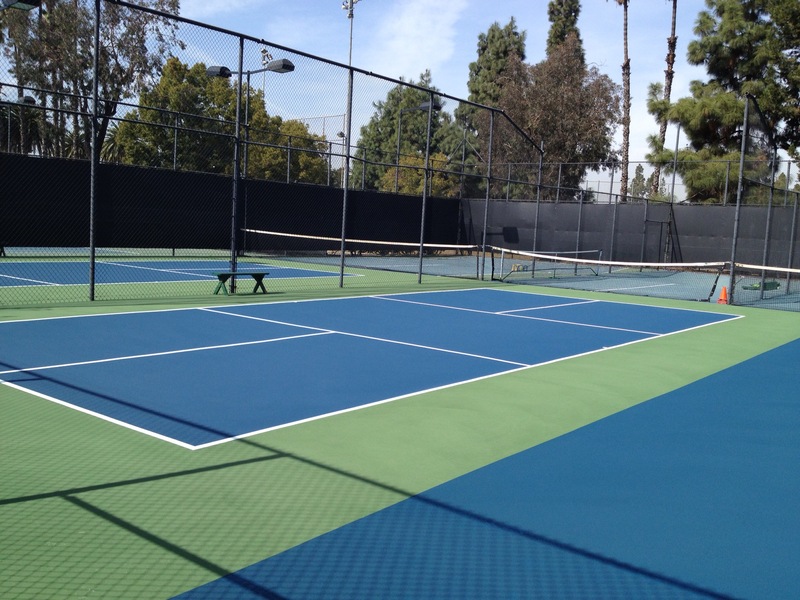 If you are interested in finding a qualified tennis court builder near you, fill out the contact form on this page and we will provide qualified contacts. We can recommend authorized installers near you that are trained in application and knowledgeable in standard tennis and quickstart tennis court layout.